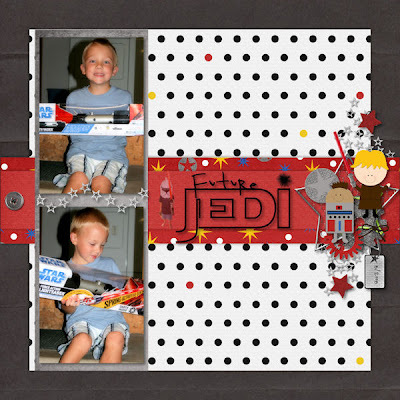 I was SOOOO excited when Amy & Dana (AmyDane Designs) decided to take on this challenge of creating a Star Wars inspired kit. My husband and oldest son are BIG fans and that means I have lots of pics to prove it. So, I am excited to introduce Space Cadets. 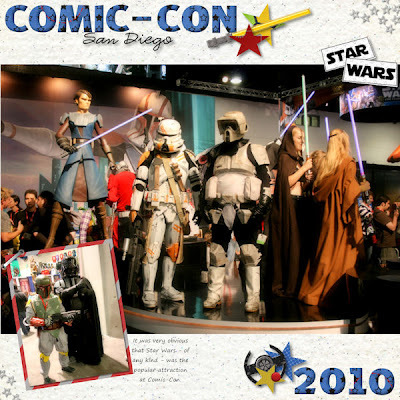 It is for all the Star Wars, Star Trek and Buzz Lightyear fans or those who simply dream of a galaxy far away. You will find everything you need to load up your spaceship and head to new lands as you create layouts that are out of this world! 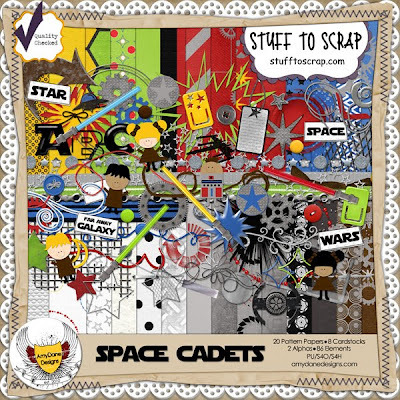 Space Cadets is a fun kit for kids but also has plenty of metal grunge items for the teens too! So get out your light swords and get ready to battle for the galaxy with 86 Elements, 20 Pattern Papers, 8 Card Stocks and 2 Alphas. And what's even better, this kit is on sale for $2 this month to celebrate it being used in the Quick Page Exchange. Create a QP, and submit it in the challenge, and then you'll get all the QPs created. How fun!!! 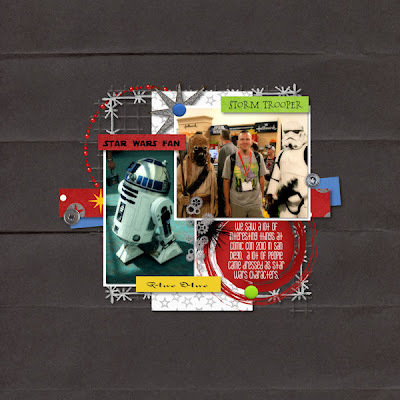 The one below was created for the July Scraplift Challenge.